The pattern used for this project is the Sew House Seven Toaster Sweater (version 2). 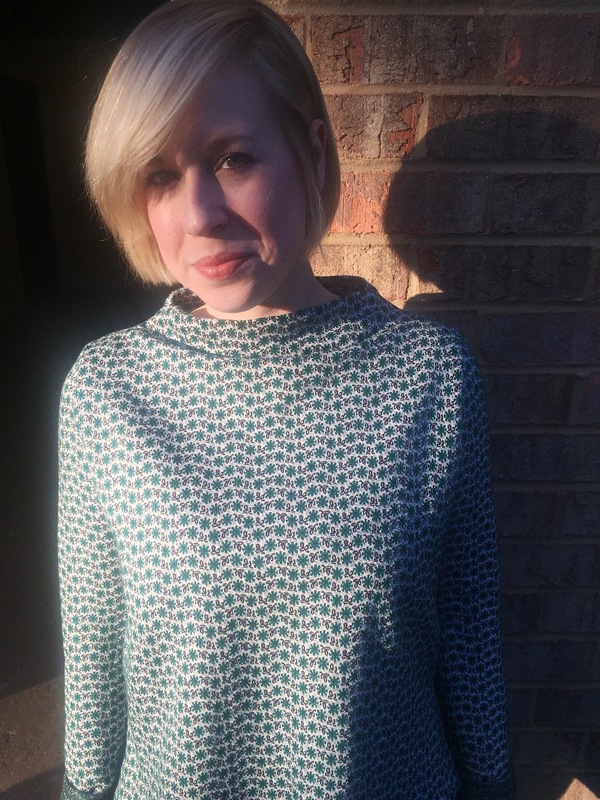 It’s the January pattern for the Sew My Style project. Honestly, when I first saw the pattern, I fell in love with version 1 and was disappointed I was going to be making version 2. I kept staring at the picture of the completed sweater, trying to talk myself into liking it. Little did I know, all I had to do was actually make it and then I’d be in love forever. 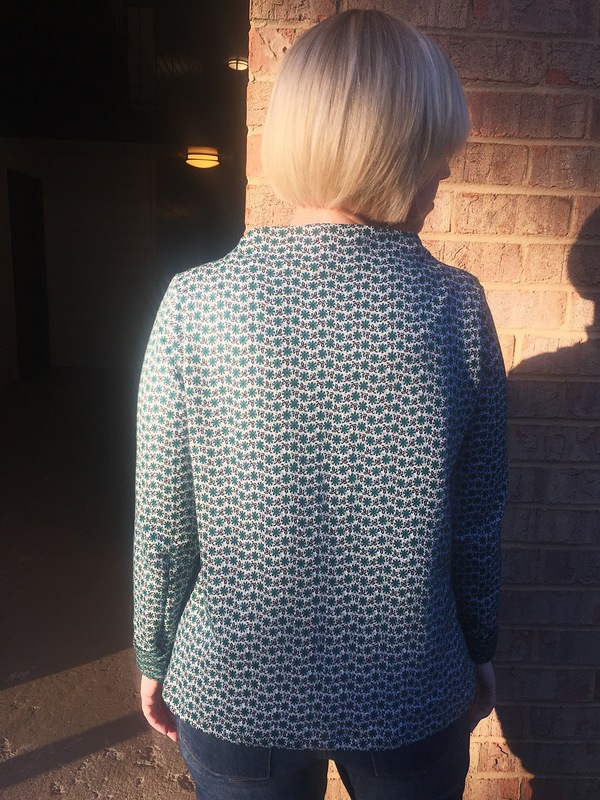 The fabric I chose is a poly sweater knit from Mood with a slightly vintage green floral print. It’s the perfect weight and texture for a light sweater. I couldn’t be more pleased with the pairing of the pattern and fabric. Finding time to sew this past month has been a bit challenging. Though the holidays are over, I still feel like we haven’t quite settled back into a steady routine. I was able to find about 3 nights after work to really throw myself into making this sweater. Thankfully, after one small hiccup, every step seemed to seamlessly flow into the next. Sewing after work can be rough when I’ve had a long day and I just want to turn my mind off, but whenever I push through those rough feelings, sewing is what makes my days feel complete. There wasn’t much needed for this sweater. I just needed thread and fabric, and tracing paper for the pattern (if you want to count that). I used a double stitch for almost every seam and finished each seam with a zigzag stitch. I think my favorite part was sewing on the sleeves. I usually hate sewing in sleeves, because I’m horrible at it, but when you sew the sleeves on the Toaster sweater the side seam and sleeve seam are sewn in one fell swoop. The neckline was accomplished by folding some of the fabric to the inside, pressing, and stitching in the ditch on the shoulder seam. I think the shape of the neckline and my fabric choice are what give this sweater it’s vintage touch. My last favorite detail is the contrast between the right and wrong sides of the fabric. My arms are quite short, so when I finished hemming the sleeves they were still a bit long on me. For once I was thrilled and rolled the sleeves up to show off both sides of the fabric. When I finished that last final touch, my heart melted. It’s cute! Good job. 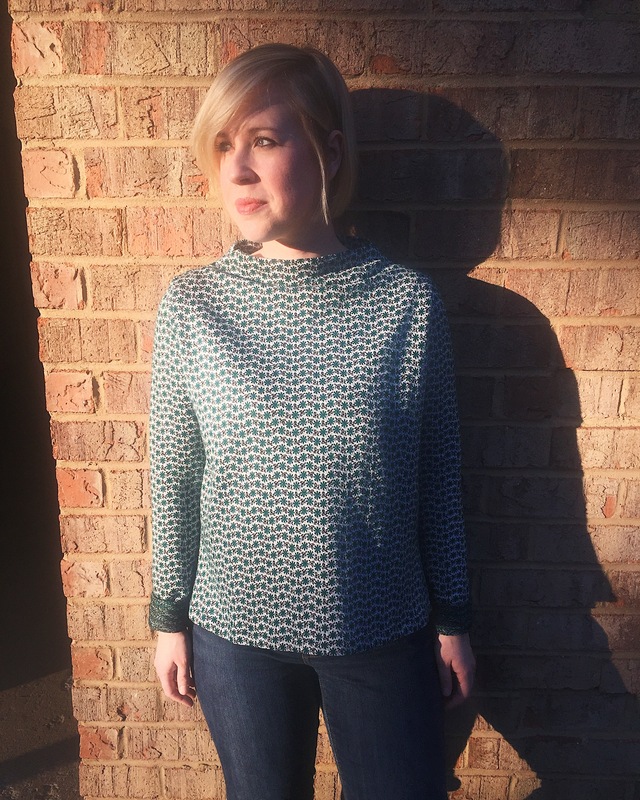 I’ve been seeing a lot of these sweaters popping around due to the Sew My Style challenge.